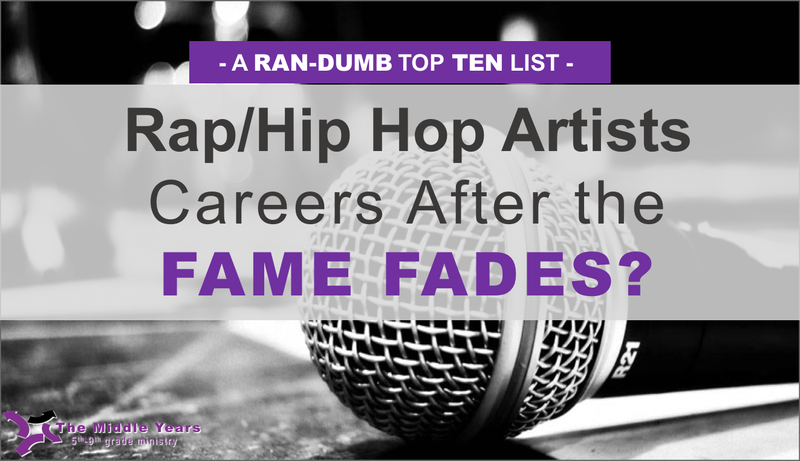 The Middle Years : RanDumb Top Ten: Rap/Hip Hop Artists Careers After the Fame Fades?? 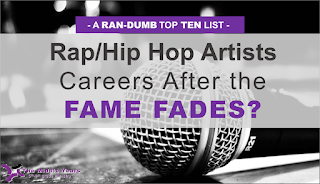 RanDumb Top Ten: Rap/Hip Hop Artists Careers After the Fame Fades?? HERE IS JUST A BIT OF RAN-DUMB MONDAY MORNING FUN! Have you noticed, that Rap and Hip Hop Artist seemed to come and go pretty quickly? It seems like they have one big song, show up at the awards shows for a year, then they are gone! So what happens to them? What do they do after the fame fades? Here are my ideas for some of the popular current artists and some other quickly fading ones as well? 1. DRAKE’S CAKES?.... Oh Wait...Oh No! !